Our price varies depending on your needs and the number of people in your bridal party. We provide various makeup and hairstyling packages to meet your needs. Some packages are complemented by an exquisite collection of bridal jewelries. Every event is unique, please contact us to discuss your special event in detail. Booking is done on first come first serve basis. Please note that no reservation is made until your deposit has been received. There's no extra charge for Sunday weddings or early starts. Airbrush makeup service is now available, please ask for details. We love to discuss with you and work out a package according to your needs. 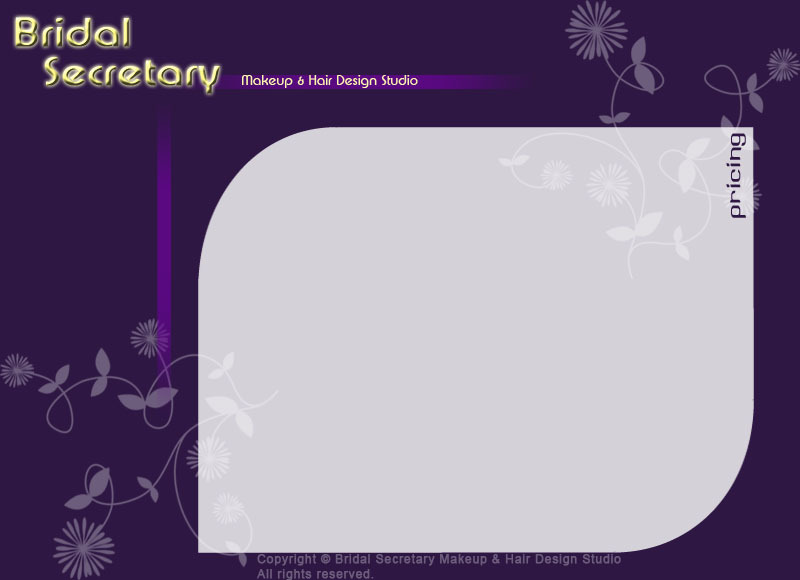 Please contact us at info@bridalsecretary.com for your quotes.